The EPA has identified indoor air quality as one of the top five environmental risks to public health. Research has shown that indoor air may be up to 100 times more polluted than outside air. We have a full line of indoor air quality products that can help your entire family breathe easier and experience greater respiratory health. Poor air quality has been linked to a wide variety of health issues such as dry eyes and nasal passages, headaches, nausea, fatigue, asthma, and allergies. These systems are installed as an integral part of your heating and cooling system, designed to capture and kill airborne contaminants. 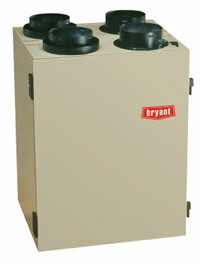 They are 40 times more effective than a standard furnace filter. If your windows have pooling water, ice, or darkened, damp wood, high humidity is causing excess moisture in your home. An ERV can balance the extremes in outdoor temperature and humidity, operating as both an exhaust fan and a fresh air supply fan. The result is ideal humidity and ventilation to protect your home and windows all year long. Ultraviolet light kills bacteria and mold growing on your indoor coil, preventing them from being circulated throughout the air in your home. 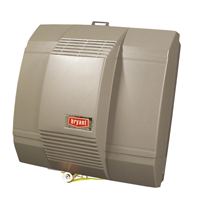 Dehumidifiers are devices that remove the moisture from the air without reducing the overall temperature in an enclosed space. This removal of moisture has many benefits with regard to health, comfort, and damage control in your home. Keeping your home’s humidity levels in check can significantly improve the health and comfort of your home. Industry experts say the ideal range of humidity is between 30 and 60 percent. Call us for an air quality inspection and recommendation on the right product for your home environment. Fill out our customer satisfaction survey and receive a coupon for $10 off your next service call!